Dressed in black leggings, high boots and a bolero jacket with tufts of leather and fur, Krill’s elegantly casual look would fit in anywhere — a signature of the brands that make up the $2.2 billion company that she oversees. One of just 21 women in the United States to run a Fortune 1000 public company, Krill notes that Ann Inc. is “a company of women, for women.” Indeed, of the firm’s approximately 20,000 employees, about 93% are female. When someone at the conference inadvertently called Krill “Ann,” she laughed noting, “I get that all the time.” But Krill did not step into Ann Taylor’s peep-toed shoes — indeed, no such person existed. The firm was founded in New Haven, Conn., in 1954 by Robert Liebeskind, who was given the Ann Taylor name by his dressmaker father. Liebeskind thought “Ann Taylor” sounded classy enough to complement the upscale, tailored clothes on his racks. In 1977, Liebeskind sold Ann Taylor — now a regional chain — to the Garfinckel’s department store company, which also owned the Brooks Brothers brand. The brand changed hands a few more times before going public in 1991. After leaving her job at Macy’s, Krill moved around the country in pursuit of a retail career. She worked for Talbot’s for eight years, followed by a stint at Mark Shale, an upscale retailer in the greater Chicago area that closed late last year after an 83-year run. Later, she took a job at Carroll Reed, a firm known for preppy clothes and must-have ski wear that also eventually folded. 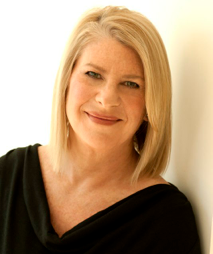 Krill joined Ann Taylor as vice president of merchandising in 1994, three years after the company went public. She became president of the LOFT division in 2001 and president of Ann Inc. in 2004. Krill gained the title of CEO in 2005. “My first try was not a success, but I was not giving up,” Krill recalled. “I kept begging the board to give me and my very small team more time. Finally, we did figure it out, which was the highlight of my career. Now, Loft is bigger than Ann Taylor.” Of the company’s 981 stores in 47 states, more than 500 are LOFT locations. Less than 300 are Ann Taylor and the rest are LOFT and Ann Taylor outlets. The company also operates an online business, which includes a line of wedding and bridesmaids dresses. Despite a recent upturn in earnings, Krill said she slogged through a difficult retail environment amid the 2008-2009 economic downturn. The rise of online shopping forced the company to rethink everything, she noted. As a result, new stores were designed to be substantially smaller with fewer employees. Krill describes herself as good listener with an ability to get along with a variety of personalities. Rather than hire clones, she noted that her inner-circle is composed of a diverse group so Krill is constantly exposed to wide range of opinions. ANN, Inc. is also partnering with a global, nonprofit organization co-founded by former U.S. Secretary of State Hillary Clinton in 1997. Called Vital Voices, the group’s goal is to identify and invest in the next generation of women leaders. The company is in the process of selecting 50 rising juniors or seniors in high school to participate in a three-day leadership training conference in April in Washington, D.C. The teens who are selected will have the chance to be mentored by female leaders and executives hailing from across the globe, and to win grant funding to launch service projects in their communities. To promote the search, signs appeared in Ann Taylor stores during the month of January saying, “Do you know a girl who wants to change the world?” Apparently, 1,000 people did, based on the number of applicants. ANN Inc. plans to invest $1.3 million over four years to support the Vital Voices network. Recently, the company announced the inclusion of actress Kate Hudson as an advisor on the project.